Location: Volvic, in the Puy-de-Dôme departement of France (Auvergne Region). 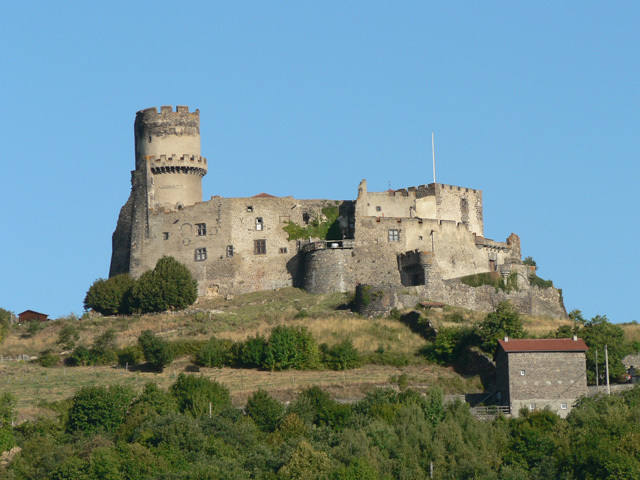 Notes: Château de Tournoël is a medieval castle partially in ruins, situated on rocky outcrop at 594 m (foothills of the Puy de Banner) overlooking the plain of Limagne (approximately 350 m at the town of Riom) . It is located in the town of Volvic in Puy-de-Dôme in France.